Just before the elective congress of the Nigeria Football Federation, NFF gets underway in Katsina, Ifeanyi Ubah has publicly denounced Amaju Pinnick and declared support for former president, Aminu Maigari. Amaju Pinnick is the incumbent president of the Nigeria Football Association and is favoured to get re-elected in Katsina on Thursday. Ifeanyi Ubah is a major player in Nigerian football politics as he is currently chairman of Nigeria Professional Football League, NPFL side, FC Ifeanyi Ubah. He is also contesting for the position of Chairman of Chairmen in Nigerian football. Apparently, Ubah wants Pinnick out as NFF president. No one has ever been re-elected as NFF president since the era of democracy in Nigerian football. 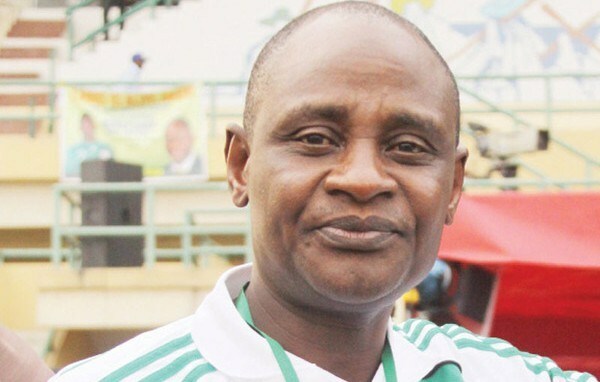 Aminu Maigari was president of the Federation between 2010 and 2014 before he was replaced with Pinnick. 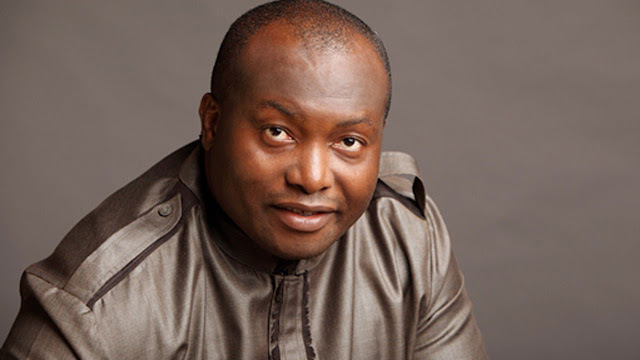 Ifeanyi Ubah released a statement on Thursday morning in Katsina after a press conference. Below is the full text of the statement. In view of recent developments and the unfortunate retrogression of Nigerian football over the last one year, it is my staunch belief that there is an urgent need for a rapid change in the Nigerian Football Federation; if and only if we desire a better football sector. The time for that change is NOW. 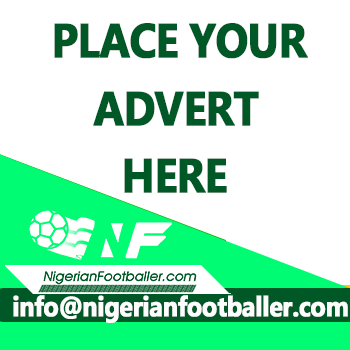 Over the last one year, issues of the lingering crisis in the NFF has landed Nigerian football in a dismal position with claims and counterclaims of fraudulent practices being the order of the day. These continuous bickering and fraudulent practices have ensured that Nigerian football remains in steady decline and will successfully kill the Federation if nothing is done about it. It is on this backdrop that I wish to emphasize on the need for a new leader and President of the NFF if Nigerian football is to attain greater heights. Firstly, I believe that Alhaji Aminu Maigari did well in his tenure as the 38th President of the NFF between 2010-2014, bringing many trophies and accolades to Nigerian football; way more than the present regime. I also believe that Alhaji Aminu Maigari’s tenure enjoyed more tranquillity more than the rancorous tenure led by Mr Amaju Pinnick. In the interim, I wish to use this medium to appreciate and accord due respect to Mr Amaju Pinnick for the development of Nigerian football internationally as he led the advancement of Nigeria’s frontiers internationally. 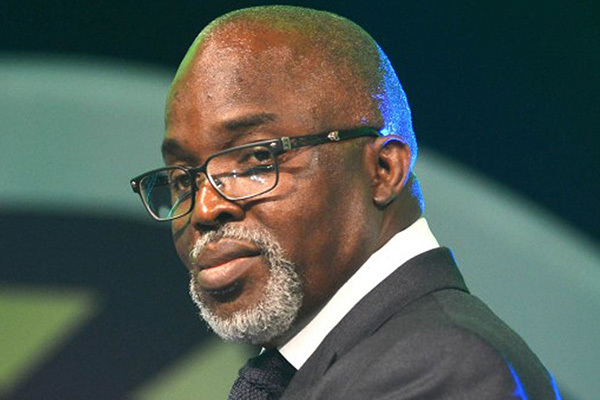 However, I believe that Nigerian football on the domestic level is in dire need of dramatic improvement as Mr Amaju Pinnick has failed in the discharge of his primary duty with a below-par performance and has confirmed that he has no magic wand to improve this. It is pertinent to emphatically state that I am one of the biggest investors in Nigerian football, having invested over 10billion Naira within the last three years. It is also a known fact that our league which is the bedrock of Nigerian football has lost its glory and has been unable to attract international investments/sponsorship over the last three years, thereby exposing our local clubs who have found it difficult to meet their obligations viz-a-viz payment of salaries and adequate preparation for matches. During this period, the NFF and Nigeria Professional Football League (NPFL) have lost two major sponsors: Globacom and Supersport. This unfortunate event has been largely attributed to top-level corruption and nepotism in the management of our domestic league. It is clear that the current leadership structure cannot take us anywhere as the NFF and Nigeria football scream out for a new lease of life. It is also germane to note that the current board have unfortunately laid their undemocratic tenets to bare as they have gone around making boastful assertions that they will be returned without due recourse to the electorates. This has virtually shown the extent of corruption prevalent in the helm of NFF’s affairs as those steering this ship are doing everything humanly possible to retain their seats in order to continually perpetrate their dastardly acts of looting and sharing filthy money. The Nigerian football sector has turned to an arena where failure to sing the praises of those at the helm of affairs attracts exclusion and unfavourable treatment. In all honesty, I do not think I should or can belong to a camp where there are no democratic tenets as these elements have succeeded in turning Nigerian football to a cult. There must be change! What is most disheartening is the fact that despite my immense contributions to the payment of the salaries and upkeep of the Nigeria Super Eagles handlers when the team were initially appointed, as part of a plea donation and Corporate Social Responsibility, the leadership of NFF has till date, failed to acknowledge my huge financial support openly due to their fraudulent disposition. Nigeria football sector has become a place where the effrontery to say things the way they are attracts the mark for demolition. This is why certain individuals have made themselves lord over others, especially those who have control over referees and their selections (i.e. which referee officiates a match for a particular reason and which match must be won for a particular reason), those who dictate to the management of our national team with regards to player selection as well as others who occupy sensitive positions. 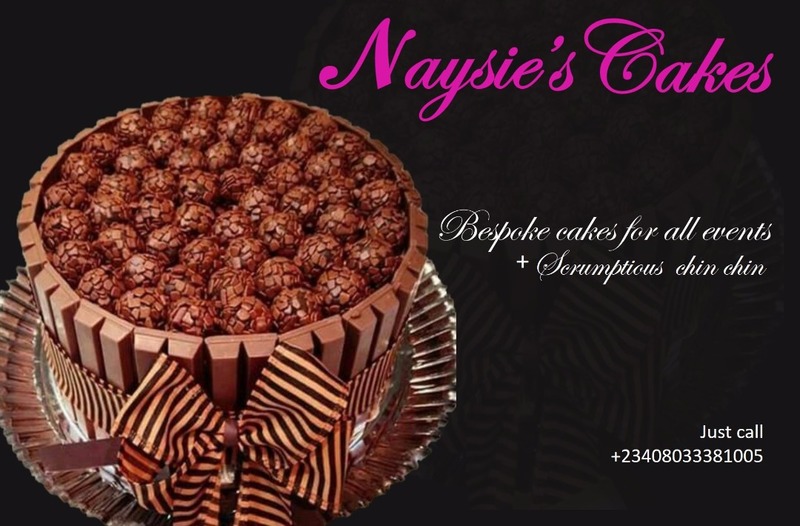 As well all know, Nigeria football and the Nigeria Professional Football League currently runs on a “pay-as-you-go” basis where the highest bidder carries the day. While complaints have flooded the glass house, those in charge have done next to nothing in a bid to change this ugly trend. In the last 2 seasons, the League Management Company has paid virtually nothing to Nigerian clubs as their quota from proceeds. These cancerous conducts have killed the Nigerian league. I say this with all sense of humility, fairness and capacity to prove all I have said in the event that anyone challenges it. I am making myself available to naming those involved in this unpatriotic act if care is not taken. In all, I see no future for Nigerian football if we, Nigerians close our mouth and support the present administration of the NFF. I am urging all men and women of good conscience in Katsina today, many of whom have been “DOLLAR” induced to support this failed regime, to listen to the voice of reason as well as their conscience; and vote wisely and accordingly without due recourse to the monies given to them. I sincerely believe that Alhaji Aminu Maigari is a good and fair man who has done so much for Nigerian football. He even built and supported those who are in power today only to be stabbed by the same crop whom he helped attain relevance and power. If Alhaji Aminu Maigari returns elected today as the President of the NFF, I Dr Ifeanyi Ubah will vie for the position of the Chairman of Chairmen. However, if peradventure, Alhaji Aminu Maigari is not elected as the President, I will be throwing in the towel as I see no value in being on the wrong side and will stay clear till a time when a democratically and fairly elected board will emerge or a time when those in power will heed to the voice of reason and wisdom and do the right thing for the development of Nigerian football. I will also consider quitting Nigerian football league if those at the helm of affairs as presently constituted continue to lord over others. However, I will not leave the struggle for the development of grassroots football within my private establishments. On this note, I wish to unreservedly throw my weight and support behind support Alhaji Aminu Maigari to emerge as President of the NFF while I will continue to support Amaju Pinnick in his quest to expand the frontiers of Nigerian football internationally with particular respect to CAF and FIFA. I strongly believe that with this, there will be a balance of power as this will also help foster competitive leadership. This is a candid note from my conscience which will stand for posterity sake and the future of Nigerian football. I urge everyone to take this into cognizance and vote his/her conscience without due recourse to monetary inducements. I am totally aware that this may come to everyone as a surprise but today, I have taken a conscious stance to support what is just and right.